Narciso Rodriguez For Him by Narciso Rodriguez 3.3 oz. May say " tester / Demonstration / Not for sale". (our sku:5691). 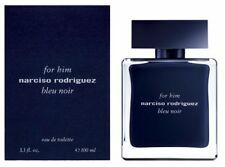 item 3 Narciso Rodriguez for Him Cologne 3.3 oz./ 100 ml EDT Spray for Men. New Tester. -Narciso Rodriguez for Him Cologne 3.3 oz./ 100 ml EDT Spray for Men. New Tester. Excellent men's fragrance and is in my top 5 of all time. Very very potent and strong scent. Pretty scent and very unique; but cloying in how strong, linear, and how much it projects. This product doesnt last long at all. I think that for the price it ought to have more lasting power and presence. It reminds me of British Sterling's Old Leather.